I was 15, and I had just showed off a blinking light to my friend. It was a circuit with two relays that alternately turned each other on and off. We lived in the quiet small town of Lillehammer, and there wasn’t much going on. So we started playing around with the idea that it would be fun to do something “more” with the blinking light circuit. I am not sure who got the idea, but we started thinking about how fun it would be to connect this to one of the big lampposts in the street. What none of us were aware of at that time, was that relays have a voltage limit. I was using 12 volt relays in my circuit. In the lamppost it was 230 volt. But one night, we snuck out. My friend had found a screwdriver from his dad’s garage with the right bit to open the lamppost. This was a screwdriver with interchangeable bits, and the bit at the end of the screwdriver was a small one. We went to the lamppost we’d targeted, and I positioned the screwdriver to unscrew the lid. And the little bit fell into the long grass that was surrounding the lamppost. We searched and searched. But we couldn’t find it! And at the end we gave up and walked home. We could have returned some other day to try again, but we never did. Maybe we both knew deep inside that this was not really a good idea. Looking back now, I know it’s a terrible idea. We would probably either have shocked ourselves or short-circuited the lamp. If we had used the right components for the job, we might have been able to make it. But something tells me that the neighbours would not be very happy about it. 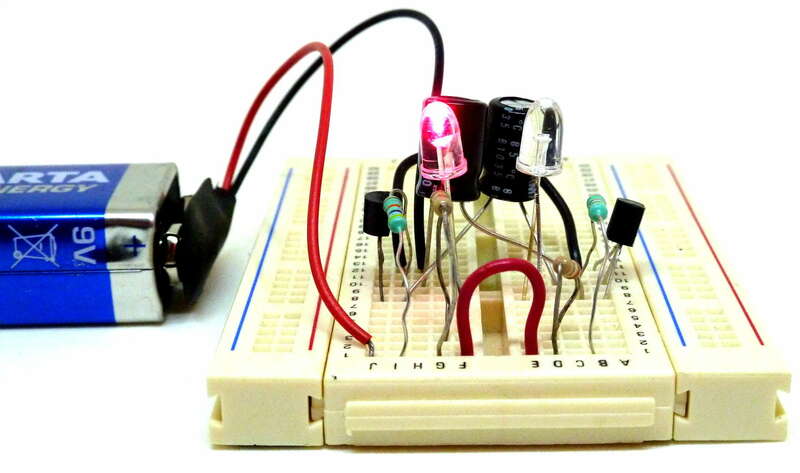 Anyway, it’s very useful to know the basics of voltage, current and resistance when you are building circuits. In the upgraded version of my eBook «Getting Started With Electronics» – which will be ready very soon – I explain this in a simple way. If you get the current version, you will automatically get the new version when it’s out.